Heavy duty mining, metallurgy, forging, casting, engineering transportation, hydraulic machinery, food processing machinery, machine tools, civil engineering, construction machinery, chemical machinery, medical machinery, injection molding machinery, automated assembly line, Light industry machinery. 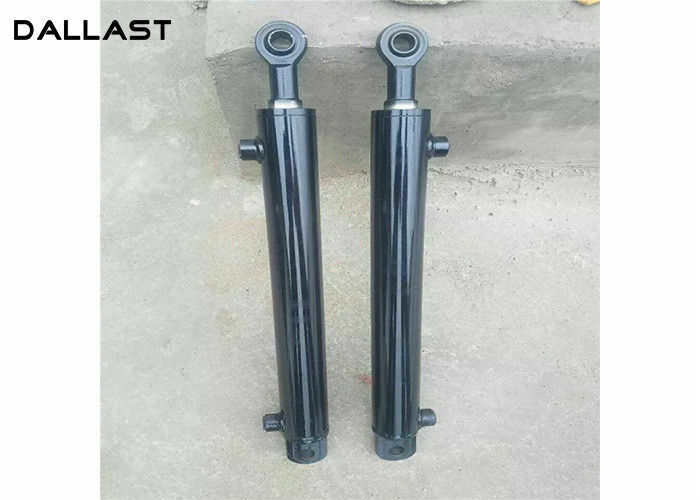 Special Non-standard large diameter, long stroke hydraulic cylinder can customized for you. Fatigue parameters, non-destructive testing by ultrasonic inspection, to achieve high-strength fuel tank, lightweight miniaturization. ● Sealing system - choose PARKER, MERKEL, NOK and other imports of high-end seal, combined with the company's unique sealing system design to prevent sand and dust, reduce oil leakage, access to the best piston rod film. ● Cylinder - Cylinder body made according to suitable strength and size, the inner surface of which is processed by rolling to improve the surface hardness and abrasion resistance while ensuring the dimensional accuracy and roughness. ● Piston rod - based on high-frequency quenching, has been coated with a hard chrome surface to improve rust, abrasion and damage resistance. Surfaces obtained after precision polishing have a uniform texture and high finish to ensure Good surface oil film, improve product life. ● Buffer / Safety Functions - Built-in cushioning mechanism that absorbs impact at the stroke end, as required, and also allows easy installation of various valves with functions such as slow return, balance and emergency shutdown.